Green Momster: Springtime stream monitoring! We adopted a stream a couple of years ago, so that my family could learn about the effects of urban and suburban development on our local streams. It’s been an eye-opening experience! We’ve learned that the runoff from homes, lawns, roads, construction sites, sidewalks, parking lots, etc really does have a negative effect on our local waterways. We monitor our stream 4 times per year, and after a long, cold winter, it was time to slip on our boots and head out again! Our stream, Difficult Run in Great Falls VA is a beautiful stream and the weather was perfect. 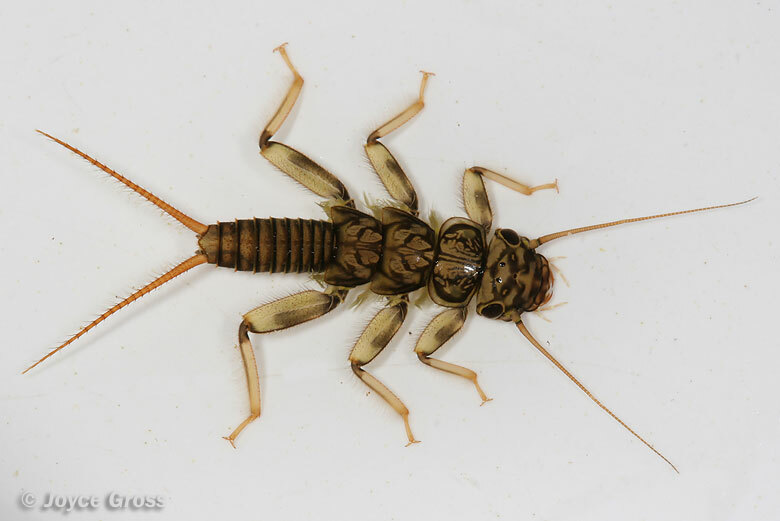 and just a few stoneflies (photos: calphotos.berkeley.edu), which prefer nice, clean water. The roads and development in this suburb near Washington DC definitely have an impact on the streams that feed to the Potomac River and Chesapeake Bay. It’ll be interesting to see if conditions improve this summer!